When it comes to one of the most special, perhaps the most special, holiday of your life then your honeymoon is the one that you want to push the boat out for. 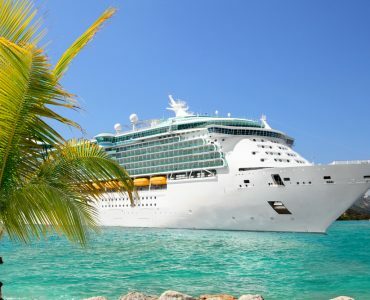 And one of those boats could well be a luxury cruise liner that plies the warm waters of the Caribbean Sea and visits its sunlit islands with beautiful white sand beaches to give you a honeymoon that you will treasure forever. 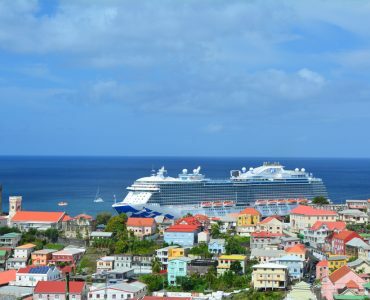 As with any cruise what you get will depend on your budget. 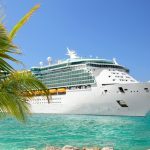 When it’s honeymoon time that budget could be quite extensive so looking for Caribbean cruise packages that include great honeymoon options can open the doors to an amazing set of experiences for you, your spouse and your family and friends. If you are getting married in your own country and planning a honeymoon á deux, there are attractive packages to make you feel welcome and relaxed on board a cruise ship. 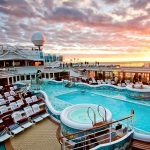 Cruise deals like these offer a variety of options for your honeymoon celebrations and depending again on your budget you could choose to add a gift of a bottle of fine wine, some gourmet chocolates and fresh flowers or up the ante by going for champagne and a personalised cake to remind you of your special occasion. 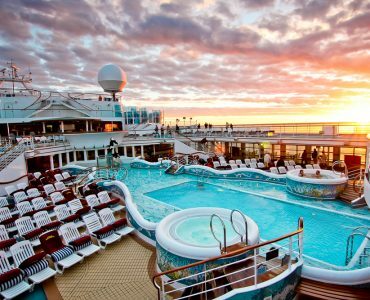 Add in breakfast in your cabin and you have your relaxation options sorted. You can go even further upmarket with Dom Perignon champagne, get a reservation at one of the ship’s speciality restaurants and get red roses for your flowers. The choice is yours and cruise lines are always happy to help you with providing exactly what you want. What if you want to have your wedding with family and friends on board? Is that possible? Of course, it is! If you do want to get married on board a cruise ship then don’t look for a last minute deal because everyone involved on the ship needs time to get everything organised properly. The captain and crew will have preparations to make and you also need to organise cabins and travel for those family and friends. Most people will pay for their own travel and contribute to the cruise costs but if you’ve got a big budget then the sky can be the limit! Actually, your wedding and honeymoon don’t have to break the bank. If a small and intimate wedding ceremony is more your style then you can get a private venue onboard for your guests to witness the ceremony as you are married and get a wedding certificate. There will be appropriate decorations for the occasion and a wedding cake with sparkling wine supplied for toasts. For a larger group of guests, there can be many add-ons, including complimentary massages for the newly married couple, wedding photography provided and upgrades to wine and food. As previously mentioned, book well in advance to get what you want and get a feel for prices with the 2018 luxury cruise pricing information. Factor in airfares to get to your embarkation port and back home, and for such a special occasion look at extra travel comfort with business class travel deals to give some special comfort and pampering when you’re on the way there and back. And if money really is no object see what private jet services can offer. Something extra special for an extra special occasion.